Social media provides a personal, familiar, and customizable way to get viewers involved through digital signage displays. Restaurants, hotels, and even office spaces are incorporating live social media into their content rotation. Showcasing customers’ tweets, Instagram photos, and more drives customer engagement and lets the customer contribute to the company’s marketing communication. But why? Why exactly would you want to put customer Facebook posts to your screens? Wouldn’t it be better to continue buying ads from and agency and roll company infomercials on screen? No. Social media can benefit not only your digital signage content, but also your business or event. 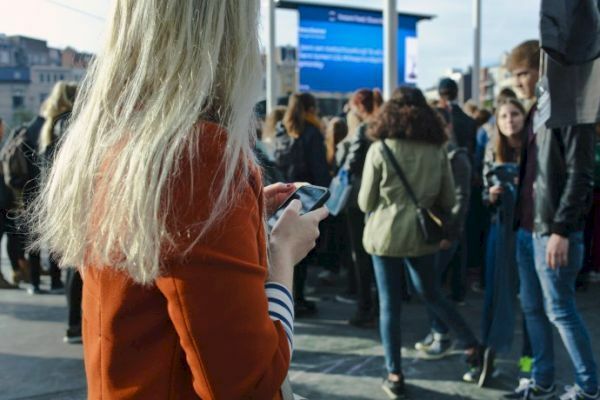 Here are five good enough reasons to integrate social media and digital signage rather sooner than later. Over time, digital signage that lacks interaction tends to blend into the background after a while, becoming just another advertisement to viewers. Especially middle sized screens (32 to 47 inch) become a part of interior design for customers. You’ll have to produce pretty special image and video material to catch the attention of ad-soaked shoppers. By incorporating live social media feeds, you can recapture viewers’ attention by letting them have a say in your displays’ content. Depending on your social media wall provider, you can pull feeds from Instagram, Facebook, and Twitter. Allow customers to instantly see their post hit the big screen. They get excited seeing their posts on screen – and while doing so they’ll also notice other material on screen. Get fresh, new content for your screens automatically and for free by allowing your customers to act as “art directors”. One of the most common mistakes for digital signage marketers is irregular and overdue updates for screen material. Same old ads roll on screens week in and week out. With viewers filling your displays with posts from social, you won’t have to spend time constantly updating your network’s content. Guests’ posts will create fresh, automated content will little to no work on your end. This is especially true if your provider offers automatic filter settings to further ease your mind. You’ll get to decide which posts and tags are allowed on screen. Who doesn’t love a little free marketing? 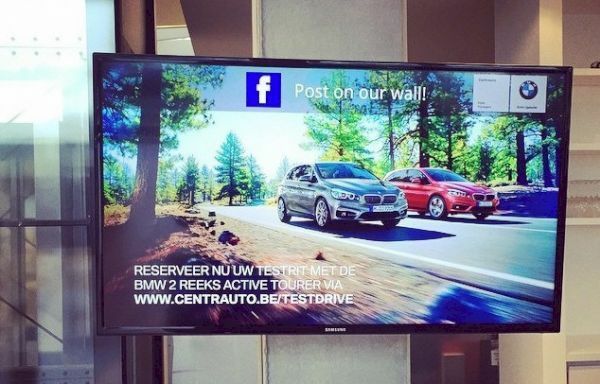 Combining social media and digital signage is a trade-off. Guests want to see their posts reach the display. However, in the process of doing so, they will also be spreading your brand to all of their followers’ timelines. Pretty clever, huh? Consumers really don’t need another source of pure advertising. By mixing in interactive social media content to your playlist, you will give viewers a reason to pay attention to the displays. You’ll be raising the chance that they’ll also pay attention to your promotional messages. Adding customer content to your playlists shows them that you actually want to hear what they think. Open up a new channel for customer feedback with social media content. Improve your business by letting customers share both positive and negative, and show them that you care. If you respect your customers enough to publicly welcome their input, they’ll return that respect by providing useful feedback and will appreciate the chance to have their voices heard. Win-win.